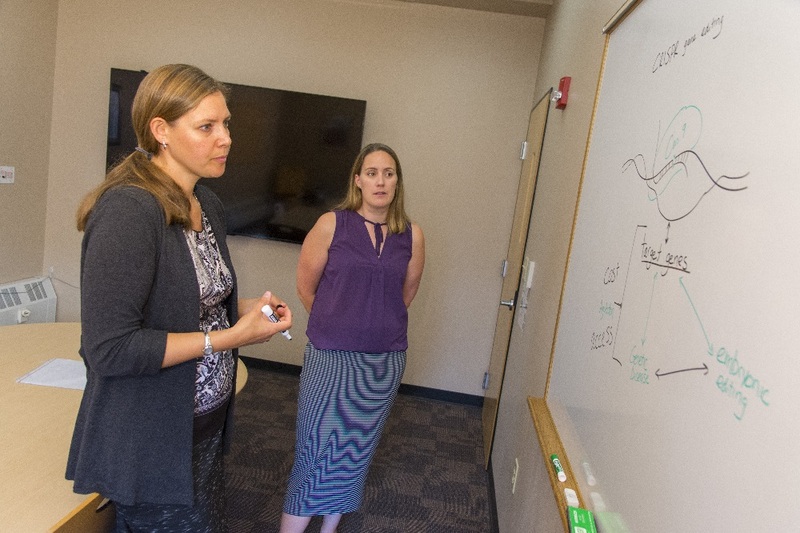 Natalie Farny, associate teaching professor of biology and biotechnology (left) and Patricia Stapleton, assistant professor of social science & policy studies, will participate in a discussion on CRISPR. Following last week’s news that twin girls were born in November through gene-editing technology known as CRISPR (Clustered Regularly Interspaced Short Palindromic Repeats), WPI faculty members are holding a panel discussion on genetically engineered humans. The goal of the talk is to help the campus community better understand what it means to genetically modify human life, including the scientific, societal, and ethical considerations involved with this issue. Topics to be discussed include what CRISPR is and how it works; the public considerations and policy implications of CRISPR, and its usage on humans; and how CRISPR has been covered in WPI’s classes. The talk is also an opportunity for reporters to meet WPI’s CRISPR experts, and learn how to best cover such a controversial and complex topic.